Pirelli designed its 2018 Formula 1 tyres to encourage strategic variation and its compound choices for the Chinese Grand Prix have created two key consequences that will decide this race. First, it has split strategies throughout the grid because of the severity of the step between each tyre. Carlos Sainz Jr says those starting on ultrasofts have locked themselves into a two-stop strategy, so the Red Bulls, the Renaults, Romain Grosjean's Haas and Sergio Perez's Force India are all compromised strategically compared to rivals starting outside the top 10. Ferrari and Mercedes qualified on the soft tyre, so can attempt a one-stop race using the medium tyre, while Red Bull will probably have to go with two stops, with ultra/ultra/soft the most likely choice, according to Pirelli's own analysis. 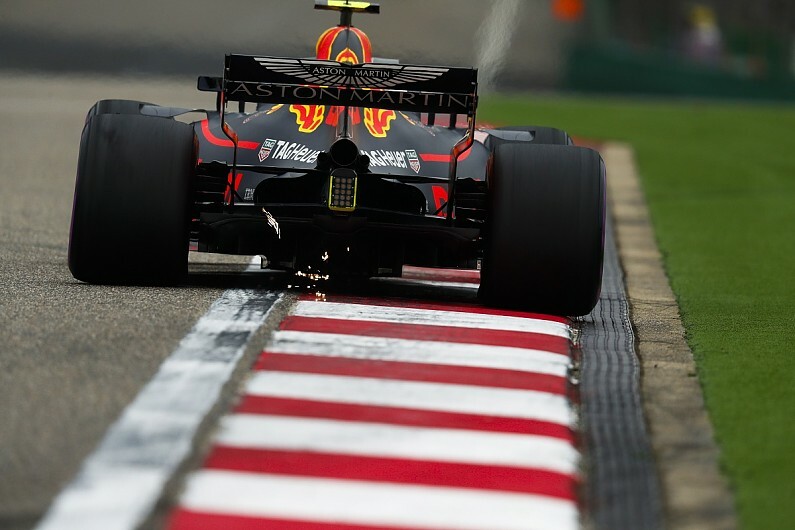 But Red Bull could still be in the mix for victory in China, if it can gain track position thanks to the advantage of extra grip off the start line afforded by running the softest tyre. Pirelli's compound choice has also exaggerated some cars' weakness on the softest-compound tyres at Shanghai. Mercedes is struggling on the ultrasoft, as are other teams, and that isn't something they would have had to contend with otherwise. The fundamental point is that Pirelli, often criticised for being too conservative for too long, has finally made a bigger call. There are still those that believe the overall quality of the tyre is still not where it needs to be - Hamilton for example says the softer tyres for 2018 are still too hard - but Pirelli's work has finally created a legitimate variable for an interesting race. It was a similar story in Bahrain last weekend, where eight different tyre strategies were used by the top 10 finishers. "Unpredictability is exciting," says Pirelli F1 boss Mario Isola. "If we have one strategy on two stops that is the winning one, it means that everybody will do the same, and basically we are not creating any differentiation, we are not creating any action on track. "In Bahrain, in my opinion, it was successful because each driver had the opportunity, depending on race position, depending on the situation, to change the strategy without losing a lot of time. "If we have these conditions also here in China, we can see a good race. Strategy engineers will be stressed tomorrow."